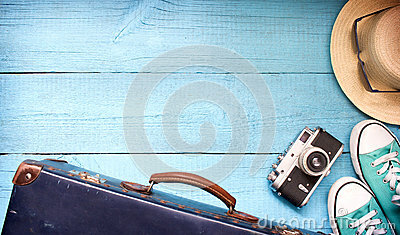 stock image of A suitcase for your holiday. The most necessary things. stock image of Retro bag and hat for summer travel. stock image of Traveling abroad, international flights, flight, airlines.